This article was first published on Lean Startup Labs. In the innovation process, one of our earliest activities is ideation, i.e. collecting many ideas so we have several viable alternatives for solving the problem. 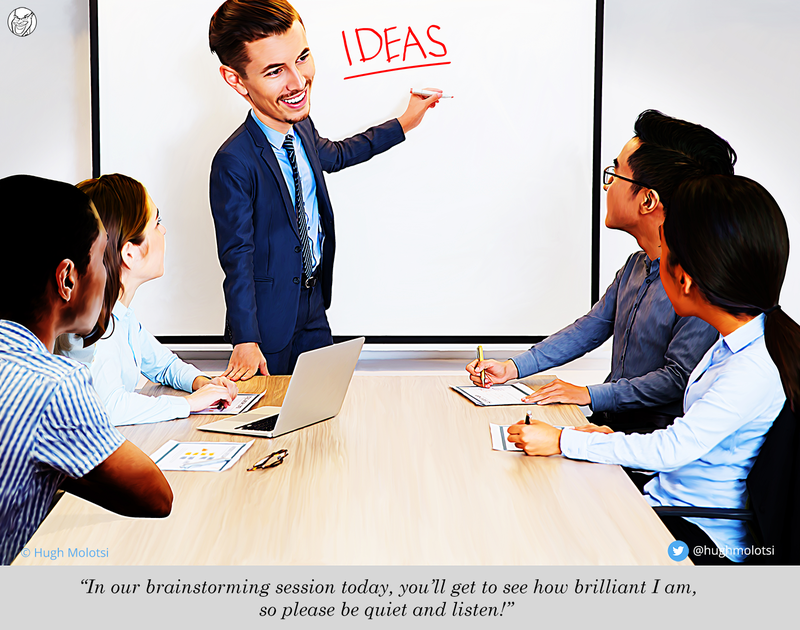 A common practice is to schedule a brainstorming session where team members with different skills and backgrounds can generate a free flow of dozens of ideas. The team will then curate a short list of what they believe to be the most promising ideas. However, there can be problems with brainstorming. The sessions are often dominated by the two or three loudest voices in the room. Groupthink can drive the focus of the discussion toward one particular theme at the expense of other better possibilities. As a result, this widely-practiced group exercise can completely miss the boat on “outside-the-box” ideas. And despite best efforts, it’s not uncommon to get into arguments about feasibility as ideas come up. Even when the ground rules say “all ideas are good,” it’s just too hard to turn off that critical-thinking part of the brain. As it turns out, there’s a tool much better suited to productive group ideating. It’s called the “7-to-1 Tool” and you can download it here. In this process each team member is given homework to independently come up with seven unique solutions to a stated problem. Why seven? There’s some thoughtfulness behind that number. It turns out that for most people, it’s easy to think of three or maybe four ideas. Getting to seven turns out to be much more difficult. Once the obvious ideas have been unpacked from your head, you are forced to think outside the box. Quite often these will be your best, most creative ideas. Later, the team convenes to have each member share their seven ideas. Because each person gets a turn to share their homework, there’s no danger of certain individuals dominating the discussion. As ideas are being shared, other team members can comment on what aspects of the idea they like. The process is inherently efficient, as each person takes their turn, they won’t repeat any ideas that have already been shared. 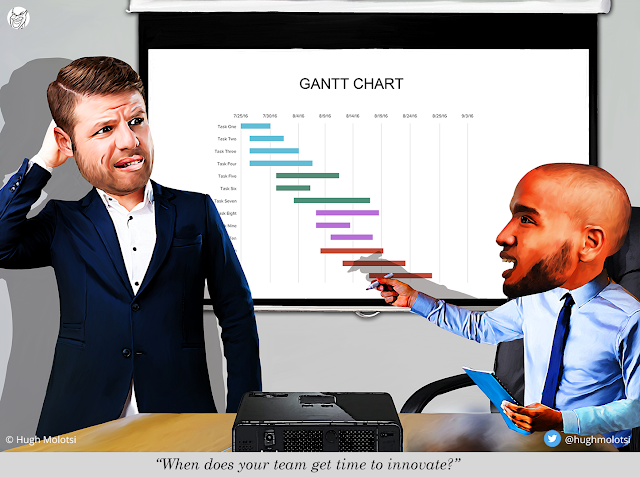 After everyone has shared their ideas, the team can discuss which ideas they like the best. Don’t be surprised if the best ideas turn out to be a synthesis of two or more ideas. With “7-to-1” you reap the benefits of brainstorming for multiple alternatives for solving your problem, without many of the downsides. Give it a try the next time you ideate! In our forthcoming book, Jeff Zias and I are writing about how companies can drive growth by empowering employees to work on their own ideas. This article was first published on the Lean Startup Co. blog. Perhaps the most underutilized assets in most companies are the ideas in their employees’ heads. It makes sense that the people spending most of their day working on products or with customers are bombarded with insights on new and better ways to serve those customers. But in too many companies, employees are not empowered to do anything with their ideas. Instead, decisions on what ideas to explore are made by senior leaders. But these senior leaders don’t have the same proximity to insights because they spend most of their working day meeting with other senior leaders. We call this the Insight-Decision Divide. The 21st century economy requires 21st century skills which include software development and high-end digital knowledge. The Bureau of Labor Statistics estimates the US economy will need as many as 100,000 new information technology workers per year over the next decade. Right now, only about 60,000 of these workers enter the workforce each year (see US economy faces impending skills gap). Clearly, traditional four year colleges are not keeping up with demand and the college route is not a practical path for everyone. The good news is that coding academies and boot camps are providing an alternative path generating software developers, product managers, and designers in as little as twelve weeks. Recently I’ve gotten a few questions on the Intuit Christian Action Network (ICAN) so I thought I’d fill you in. Intuit believes that having a diverse and inclusive workplace is a strategic advantage. Having a diverse and inclusive work environment means fostering a culture that enables all employees to bring their whole selves to work. We use the iceberg metaphor to describe our whole selves – yes there are the obvious visible traits like race and gender; but below the surface are much more profound elements of who we are. At Intuit, we celebrate all of these. Employees no longer have to spend time hiding aspects of who they are when they check in to work. Instead, they can focus on the work at hand with the security of knowing that Intuit values their diversity. Diverse teams are often stronger performing teams because we arrive at better results when we can take advantage of different perspectives.